Grand Theft Auto V deals have always been tough to find, with the continued popularity of GTA Online ensuring that the game holds its price even now, years after release. We’ve started to see more sales recently, and the latest deal from Green Man Gaming makes GTAV the cheapest it’s ever been. 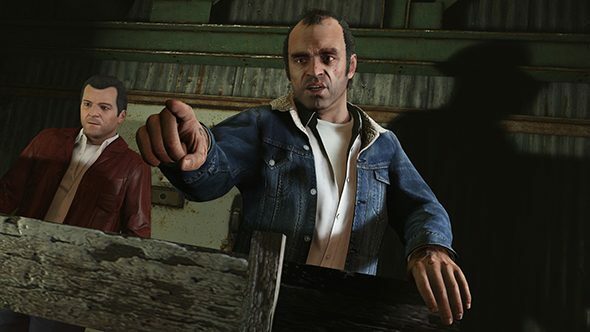 You can get Grand Theft Auto V at a 70% discount, which brings the price down to $17.82. The same percentage extends to the Criminal Enterprise Starter Pack bundle (which offers a bunch of bonus cash, vehicles, and properties alongside the main game) bringing the price down to $25.85. GTA helped define the open world, so it’s no surprise GTA5 made our list of the best sandbox games on PC. If you want to dive into the older Rockstar catalog, you can get the Grand Theft Auto Trilogy (consisting of III, Vice City, and San Andreas) for $7.65, a 74% savings. The same deal extends to Grand Theft Auto IV: Complete Edition (GTA4, plus the two Episodes from Liberty City expansions), which is also $7.65 for the duration of the sale. There are further deals on GTA5’s myriad bonus cash options, but you can check those out for yourself at GMG’s Rockstar sale page. No word on how long the sale will last, so you may want to get in soon. If you’re jumping in for the first time, why not get some tips on making your first $1 million cash in GTA Online? Whether or not money makes the real world go ‘round, it sure helps in greasing the wheels of the GTA economy.